Hyundai has created a bit of a splash at the 2016 Geneva Auto Show with its Ioniq lineup. It has brought the Ioniq Hybrid, Ioniq Plug-in, and more importantly, the Ioniq Electric. The hybrid and plug-in variants use Hyundai’s 1.6-liter, GDI, gasoline engine, but the electric flies down the road with nothing more than a lithium-ion polymer battery and an electric motor. Those looking for all-electric mobility should take the Ioniq into consideration as it does offer a decent range on a full charge. The car itself is a little different on the outside compared to the hybrid and plug-in models, considering its electric nature and all. Aside from that, however, the car offers the same safety and infotainment features as the other models in the Ioniq lineup. Jochen Sengpiehl, the Vice President of Marketing for Hyundai Motor Europe said, “Ioniq is an important step forward for our brand. We are bringing a unique new approach to e-mobility, with no compromise on design, driving pleasure and connectivity. 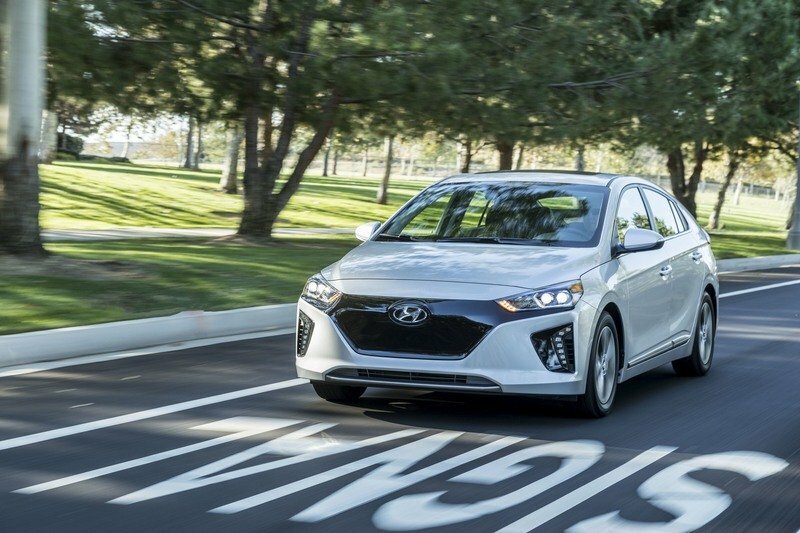 And we’re making it accessible to more customers, further extending our product line-up.” So, let’s take a look at the Hyundai Ioniq Electric and see just what this vehicle brings to the table and why you should consider it as an alternative to gasoline-powered models. Continue reading to learn more about the Hyundai Ioniq Electric. There's no need for a radiator or a grille, so this model has its own unique look up front. Looking at the exterior, you’ll notice a lot of the same design cues. In fact, the hood, headlights, and vertically mounted fog lights are all the same in comparison to the hybrid and plug-in models. The same air dam exists at the bottom of the front fascia, as do the corner vents, but you’ll notice one big change: no radiator grille. Since the Ioniq Electric has an all-electric drivetrain, there’s no need for a radiator or a grille to cool it, so this model has its own unique look up front. Instead of a grille, Hyundai added a contrasting gray insert that matches the inserts in the fascia’s corner vents. 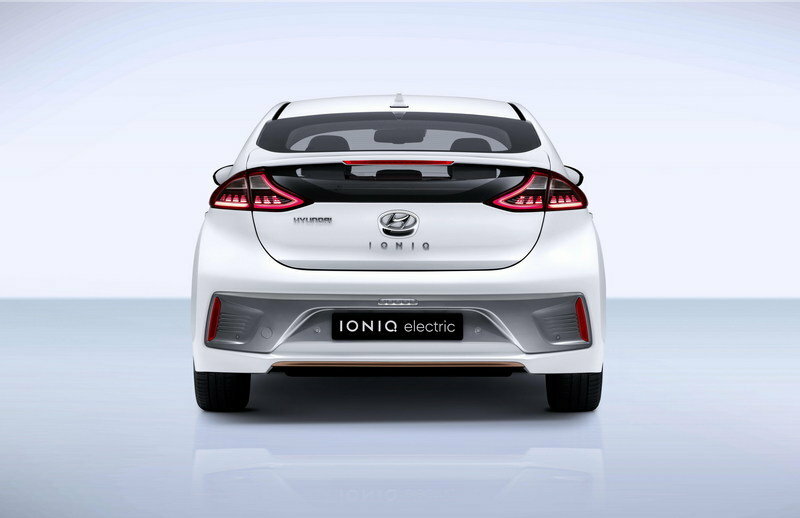 To the sides, the Ioniq electric is identical to its hybrid and plug-in brothers. A distinct body line runs from the front fender, back to the point of the wraparound taillights. Down below that same gray bump guard is placed on the bottom of each door. Of course, you can’t really expect too many changes just because the car is all electric, so this really is par for the course. 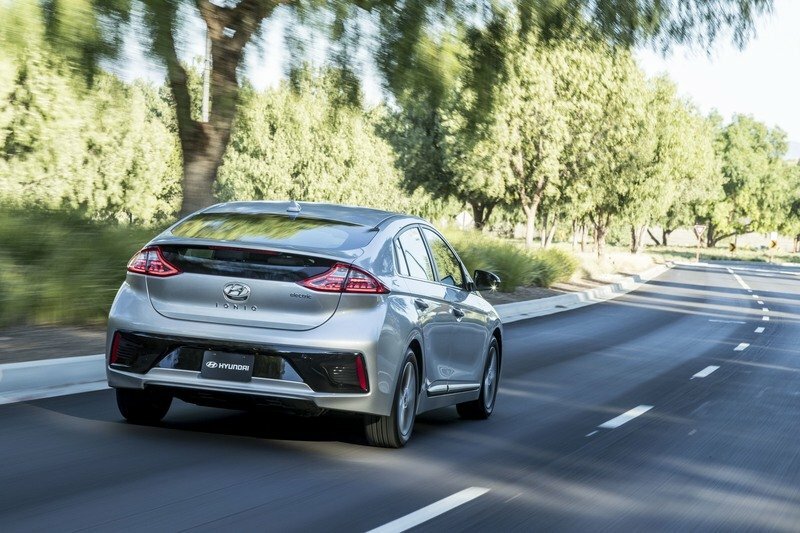 To the rear, you’ll find the same deck lid as the other Ioniq models, but the taillights have their own unique design to help set the model apart from the others. Down below, the black trim on the fascia has been replaced by a light gray unit that matches the door guards and the insert that’s used in place of the grille up front. There’s a vertically mounted, rectangular reflector on each side of the trim insert, and as you would expect with an electric vehicle, there’s no exhaust outlet to speak of. I must say, one of my favorite features of this car is the glass panel on the decklid. It’s a pretty unique feature, and I like the way it stands out on this model. The other noticeable feature on this model is the copper line at the bottom of both fascias. Available exterior colors include Marina Blue, Phoenix Orange, and Blazing Yellow, which will come with silver accents below each fascia. It should also be noted that Blazing Yellow is an exclusive color option set aside for only the Ioniq Electric, so don’t expect to get that option on the hybrid or plug-in models. Inside, the Ioniq Electric features the same 7-inch TFT information cluster as the other Ioniq models. It has a resolution of 1280x720 pixels and displays all relevant information, such as a speedometer, current state of charge, and other important information. This display is also capable of adapting to different drive modes by changing the color of the backlighting and, when in ECO mode, even displays a virtual speedometer and needle. 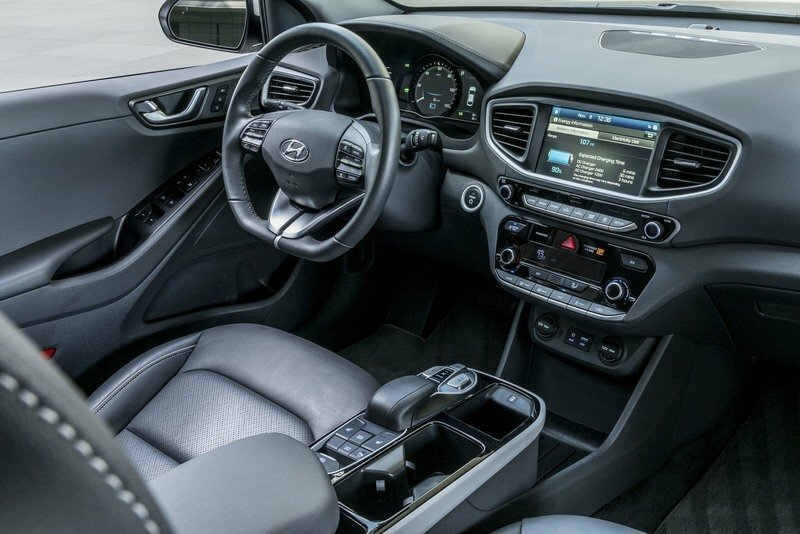 The infotainment screen is perched on the center stack and includes a digital display as well as phone connectivity via Apple CarPlay and Android Auto. A wireless inductive charging pad is located within the center console to ensure mobile devices are always charged and ready to go. The included navigation system comes with a seven-year free subscription to TomTom Live, offering real-time weather, traffic, and speed camera information. Inside, the Ioniq Electric also has the copper theme – symbolizing electricity – too. In the images we have here, you can see a small copper strip on the bottom spoke of the three-spoke steering wheel, copper outlining the infotainment screen and center vents, and there’s even more copper wrapped around the center console. Copper colored stitching is used to hold the leather seats together, and the door trim panels are made from recycled plastic. You’ve got to give it to Hyundai for being green on this one. All told, the interior isn’t exactly as sporty as some might hope for, but it is a smooth and functional interior that looks to provide plenty of comfort for short and long trips. I’m not sure about how much I like the way the center console drops off at the front of the seats, but it isn’t an ugly design by any means. Power for the motor is stored and delivered via a 28-kWh lithium-ion polymer battery that promises an estimated range of 155 miles. The Ioniq Electric has a single electric motor that delivers 118 horsepower and 217 pound-feet of torque, which really isn’t bad for a smaller all-electric car. Power is sent to the front wheels via a single-speed reducer transmission that’s capable of pushing the car to a top speed of 102 mph. Power for the motor is stored and delivered via a 28-kWh lithium-ion polymer battery that promises an estimated range of 155 miles. Charging the battery to 80 percent only takes 24 minutes using a 100-kW fast charger, and an integrated in-cable control box (ICCB) allows the vehicle to charge using a standard 120-volt wall socket. That type of battery range and charge time should be more than enough to ease the range anxiety associated with most electric cars. Unless your daily commute or errand running takes you more than 70 miles away from home, the Ioniq Electric should be suitable for your needs as long as you charge it every day. It’s not exactly a Tesla, but it’s good enough in that aspect. The body of the Ioniq is designed with 53 percent advanced high-strength steel that offers superior rigidity and high-impact energy absorption. The body is said to minimize distortion in the event of an accident to help protect passengers. Along with the advanced design of the body, the Ioniq has a decent list of safety features, including lane departure warning with automatic correction, lane keep assist, automatic emergency braking with pedestrian recognition, and smart cruise control. 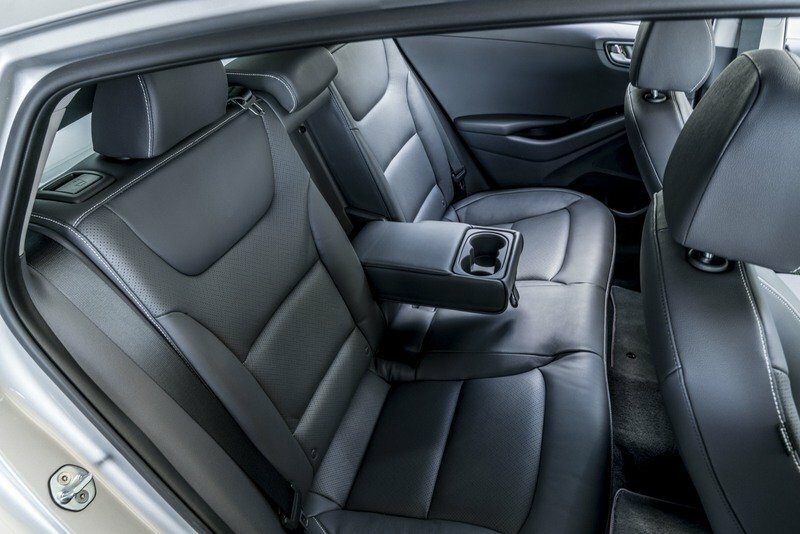 In addition to these features, the Ioniq has seven airbags, including side curtain airbags and a knee airbag for the driver. 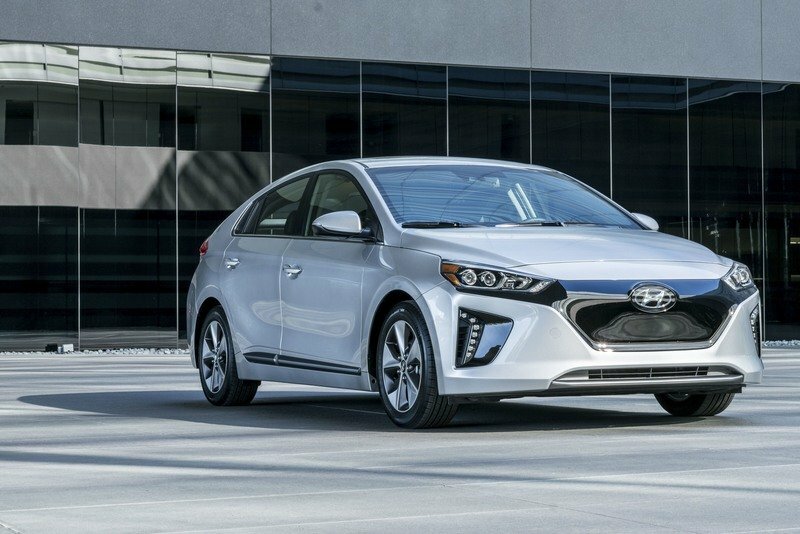 Pricing for the Ioniq Electric starts from $29,500 before incentives. That’s a solid $7,300 premium over the hybrid version, but on par with the second-generation Nissan Leaf, which is only $490 more expensive. On the other hand, the Ioniq Electric undercuts the Chevrolet Bolt and the Tesla Model 3 by $7,995 and $5,500, respectively. Launched in 2010, the Nissan Leaf is now one of the most popular electric cars in North America and Europe. 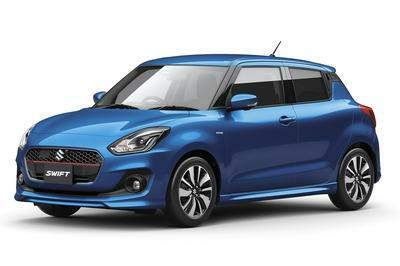 The hatchback was redesigned for the 2018 model year, receiving a sportier exterior design, a more upscale interior, and a brand-new electric drivetrain. The new motor cranks out 147 horsepower and 236 pound-feet of torque, a 40-horsepower and 49-pound-feet increase over the old model. That’s more than what the Ioniq Electric can provide, but significantly below what you can get with the Chevrolet Bolt and Tesla Model 3. The range is similar to the Hyundai, though, at up to 150 miles on a single charge. The battery is also new, now having a 40-kWh capacity. Charging takes 16 hours with a 3kW outlet and only eight hours with a 6kW outlet. Pricing starts from $29,990. 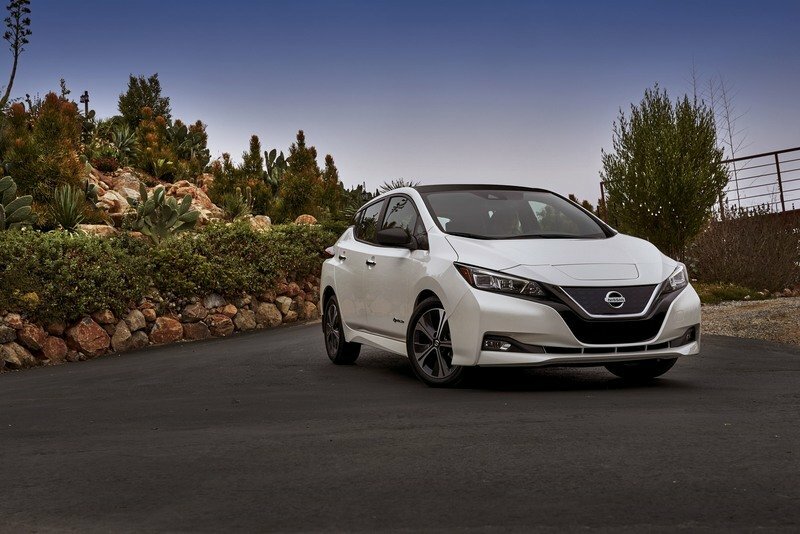 Read our full review of the 2018 Nissan Leaf. Introduced for the 2017 model year, the Bolt is Chevrolet’s first mass-produced EV and a solid option to the Ioniq Electric. 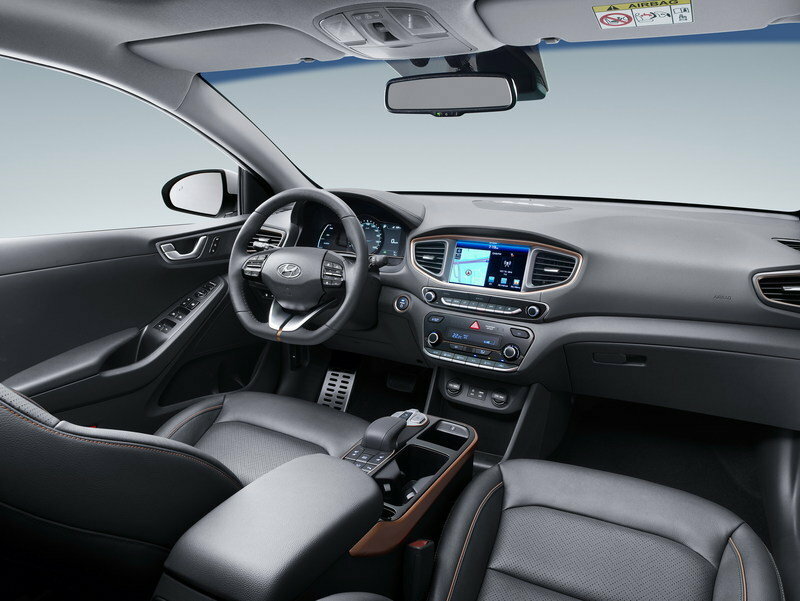 The American hatchback comes with relatively upscale-looking interior and a comprehensive technology package that includes Bluetooth connectivity, MyChevrolet App, 4G LTE Wi-Fi hotspot, Apple CarPlay, and Android Auto, among others. Performance-wise, the Bolt is by far the better car, using a drivetrain that generates 200 horsepower and 266 pound-feet of torque, while the range is estimated at up to 238 miles on a single charge. Charging takes 9.5 hours, while pricing starts at $37,495 before incentives. 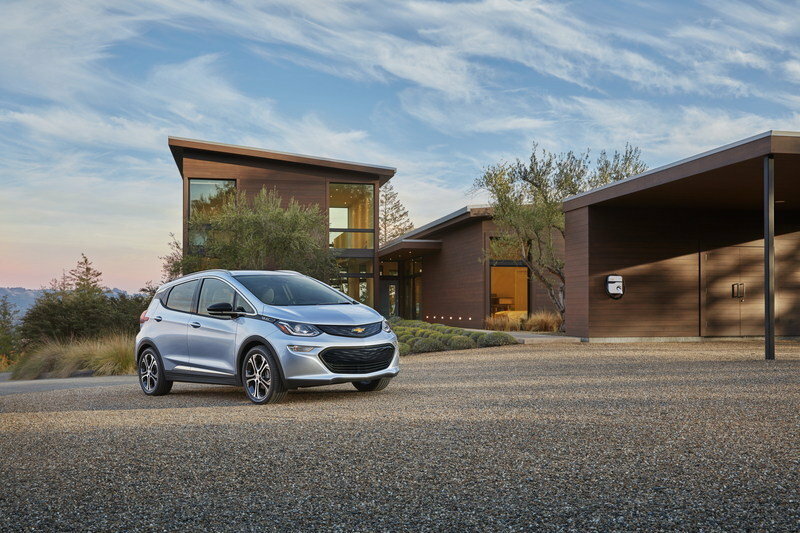 Read our full story on the 2017 Chevrolet Bolt. The Model 3 is Tesla’s latest and most affordable electric car. Developed with the Nissan Leaf in mind, the Model 3 is actually a bit larger than other offerings in this niche and its design is closer to that of a notchback rather than a hatch. While specs aren’t yet official since the Model 3 won’t arrive into showrooms until 2018, it’s expected to be the most powerful option available in its range-topping trim. The range is estimated at 220 miles with the base model and a whopping 310 miles with the Long Range upgrade, more than double than what you get with the Ioniq Electric. Tesla’s Supercharger network also brings impressive charging time, with 30 minutes being enough for a 130-mile range. On the other hand, the Long Range upgrade can get quite expensive. While the entry-level model comes in at $35,000, the Long Range options and other extra features will increase the sticker to more than $50,000. 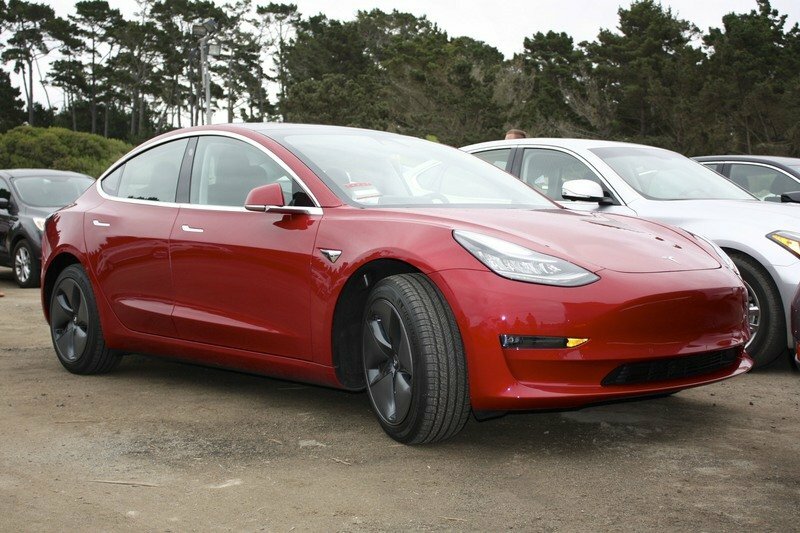 Read our full review of the 2018 Tesla Model 3. Surely, the Ioniq Electric is about to bring some strong competition to the all-electric market. With a range of 155 miles, it beats out the Focus Electric and Nissan Leaf hands down with roughly the same charge time. If Hyundai can manage to keep its Ioniq Electric below the $30,000 range for the entry-level trim, the competition is going to have a lot to worry about. Personally, I’m still not sold on the whole electric car thing, at least not until we have the technology that offers upward of a 400-mile range. To me, driving around with even 155 miles on a full charge is like leaving for a road trip with a quarter tank of gas. I just wouldn’t do it. Not to mention the fact that if you do happen to run low on a charge, I don’t see many business owners condoning the use of their outside electrical outlets to charge your car. Until that changes, you won’t see me driving one of these electric cars anytime soon. Of course, for those who don’t worry about overall range, the Ioniq will probably be the model to go for. I’m curious to see what kind of price point Hyundai establishes for this model. 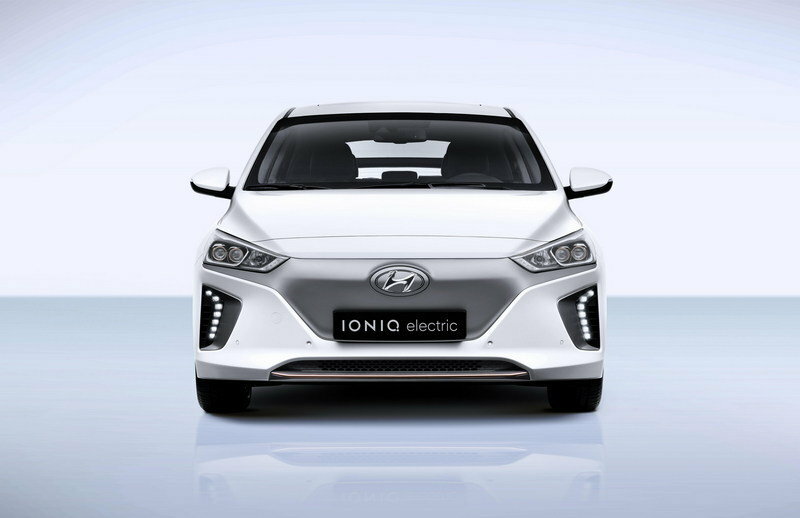 At the 2016 Geneva Motor Show, Hyundai Motor is introducing the All-New Hyundai IONIQ line-up, consisting of: IONIQ Hybrid, IONIQ Electric and IONIQ Plug-in. The world’s first model offering three electrified powertrains, IONIQ will make low- to zero-emission mobility accessible to everyone. 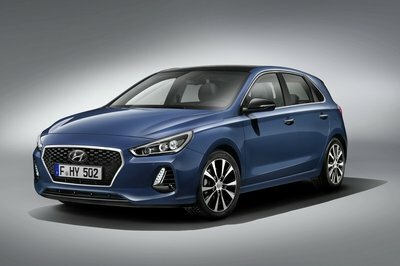 The new approach of Hyundai Motor delivers an uncompromising design and driving experience through innovative technology and offers customers the latest connectivity and safety technologies. 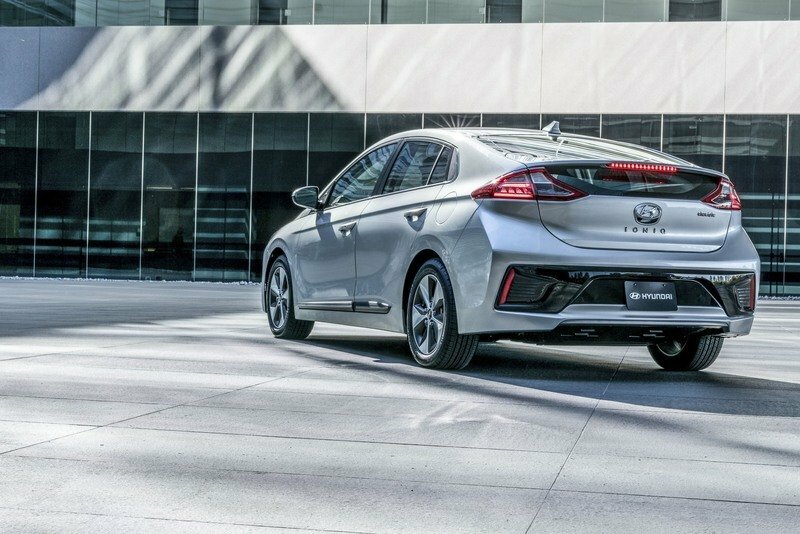 The All-New Hyundai IONIQ is an important milestone in Hyundai Motor’s sustainability strategy, bringing to life the brand’s new thinking through new innovative technologies and extending the company’s product range to support further organic sales growth in Europe. The IONIQ Hybrid and IONIQ Plug-in both feature the new Kappa 1.6 GDI, direct injection petrol, four-cylinder engine with a class-leading thermal efficiency of 40 per cent delivering 105 PS and 147 Nm of torque. The engine has been tailored to the hybrid application and is combined with the direct responding, smooth shifting six-speed double clutch transmission – differentiating the IONIQ from its competitors with a more dynamic driving experience. The mated electric motor enables pure electric driving and delivers instant torque as the chassis with rear multi-link suspension greatly enhances driving dynamics. The IONIQ Hybrid’s electric motor delivers 32 kW (43.5 PS) with maximum torque of 170 Nm, powered by a lithium-ion-polymer battery with 1.56 kWh capacity positioned under the rear seats. 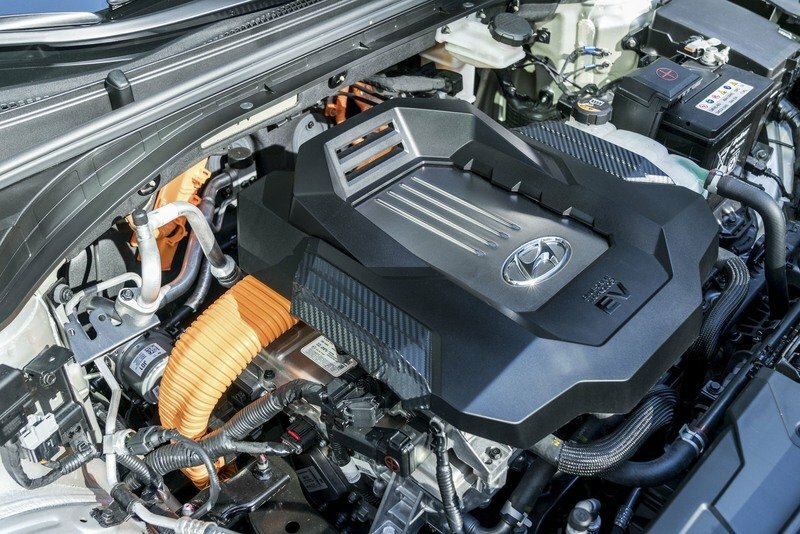 In combination with the 1.6-GDI engine IONIQ Hybrid offers a system output of 103.6 kW (141 PS) rpm and up to 265 Nm of torque accelerating to a top speed of up to 185 km/h with targeted CO2 emissions as low as 79g/km (combined). Drivers choosing the IONIQ Plug-in can safely rely on over 50 kilometres of estimated pure electric driving range powered by the potent 8.9 kWh lithium-ion polymer battery. The 45kW (61 PS) electric motor together with the 1.6 GDI four-cylinder Kappa engine targets CO2 emissions as low as 32 g/km. The IONIQ Electric offers pure e-mobility through a 28 kWh lithium-ion polymer battery for an estimated range of over 250 km. The instantly available maximum torque of 295 Nm is delivered by the electric motor with a maximum output of 88 kW (120 PS) through the single-speed reducer transmission accelerating the car up to 165 km/h. The customer experience inside the IONIQ line-up is enhanced through state-of-the art connectivity features like Android Auto, Apple CarPlay as well as TomTom live services and wireless charging of your smartphone. Furthermore, the driving experience becomes digital through the 7-inch TFT instrument cluster displaying all key driver information. A holistic and innovative safety package including Autonomous Emergency Braking, Lane Keep Assist System, Blind Spot Detection, Rear Cross Traffic Alert and Smart Cruise Control ensures high safety levels for drivers and passengers alike. All versions feature the sleek aerodynamic silhouette with a class-leading Cd value of 0.24. A fluid exterior shape and natural air flow channels emphasize the aerodynamic body lines and volumes. Blue accents in the IONIQ Hybrid and IONIQ Plug-in emphasize specific elements on the exterior and in the interior for a seamless design. The IONIQ Electric features exclusive copper coloured accents to create the impression that electricity is flowing through the car’s interior inspired by copper’s property of being a conductor of electricity. Hyundai Motor’s IONIQ line-up calls upon two key influences – efficiency and technology – in its design, which combine to create a unique and future-looking appearance. Throughout the entire development phase engineers and designers worked hand-in-hand to ensure that form and function evolved simultaneously. These aims are met consistently throughout each of the IONIQ models – the IONIQ Hybrid, the IONIQ Plug-in and the IONIQ Electric. Distinguished exterior design sets IONIQ apart from its competitors as the styling builds the car’s high-tech features into its design, emphasizing the efficiency of the whole range. In crafting the exterior appearance of IONIQ, Hyundai Motor’s designers concentrated on the car’s future-orientated character, which is at the heart of its appeal. A fluid exterior shape and natural air flow channels emphasize the aerodynamic body lines and a sporty, hatchback-like profile sets the IONIQ apart. Its exterior panels are designed to flex in order to boost aerodynamics further, which, when combined with various other smart efficiency solutions, produces class-leading Cd value of just 0.24. The front of the IONIQ Hybrid is characterised by the Bi-xenon headlights that are embraced by the C-shaped LED positioning lamps. Hyundai Motor’s signature hexagonal grille and the vertical C-shaped LED daytime running lights further depict the purity of the car. Contrasting colours at the base of the bumper add an individual character while nine exterior colours are available and can be paired with a choice of two interior options. The colour choices for the exterior of IONIQ Hybrid and Plug-in are Phantom Black, Polar White and Platinum Silver along with Aurora Silver. Also available are Iron Grey, Marina Blue and Phoenix Orange as well as Mist Meadow and Chalky Brown. The interior colour choices are Lava Stone or Afternoon Breeze. Depending on the exterior colour, an elegant blue or silver character line below the front and rear bumpers is a design feature both the IONIQ Hybrid and the IONIQ Plug-in have in common. For exterior colours Marina Blue and Phoenix Orange the accents will be carried out in silver. All other exterior colours feature the blue character line. These accents are also carried on fully through the interior of both models, for example with blue or white piping on the car seats. The IONIQ Hybrid features specially-designed two-tone 15- or 17-inch wheels. The IONIQ Plug-in adopts the general exterior design from the Hybrid - like the hexagonal grille and the vertical C-shaped LED daytime running lights – but it will additionally feature LED headlamps. It has an additional cap for the charging socket on the left front panel. What instantly sets the IONIQ Electric apart is its front: without the motor’s need for cooling, the grille gives way to a clean and sleek surface in True Grey or Shine Grey – depending on the chosen exterior colour of the car. The line-up’s all-electric version also features LED front headlamps and rear combinations lamps with a unique pattern imparting a distinct identity to the car when looked at from behind. The electric character of the car’s design is underscored by the copper coloured character line below the rear bumper and below the front bumper (alluding to the property of copper as an excellent electric conductor). When Marina Blue, Phoenix Orange or Blazing Yellow is chosen as an exterior colour, these accents will be carried out in silver. Blazing Yellow is a colour option exclusively available for the IONIQ Electric, whereas Iron Grey, Mist Meadow and Chalky Brown can only be selected for the Hybrid and the Plug-in. Just as with the car’s exterior design, the interior of the IONIQ captures the model’s futuristic perspective. A ‘Purified High-Tech’ concept was established, which then evolved into the refined interior of the IONIQ. A smooth, elegant and clutter-free theme works with a logical, structured layout of controls. Materials for the interior were chosen in an ecologically sensitive way and are used to create a simple and clean look throughout the car, giving the inside space a sleek, light and purified feel. The blue character line exclusively available for the IONIQ Hybrid and the IONIQ Plug-in is carried on in the interior featuring blue piping on the seats and further blue design elements on the fascia. These include a blue metallic line running below the digital instrument cluster and between the air conditioning control knobs, surrounding the centre console air vents, the audio navigation screen and outside air vents as well as the starter button. Another accent is on the lower part of the steering wheel. The interior is available in two colours a darker grey tone called Lava Stone and a light beige called Afternoon Breeze. Inside the IONIQ Electric exclusively available copper coloured accents create the impression that electricity is flowing through the whole car’s interior. Passengers of the Electric will also notice that there is more space between the front seats. This has been achieved thanks to the shift by wire system that doesn’t have mechanical linkages between a shifter and the transmission and so allows the driver to switch drive modes simply by pressing the right buttons in front of the palm rest. The IONIQ Electric also features an electronic parking brake (EPB) at the command of the driver’s fingertips and the inductive charging tray for mobile phones is conveniently positioned right next to the shift by wire buttons. Developed for energy efficiency without compromising driving performance, every IONIQ’s powertrain option represents a cleaner way of mobility. The IONIQ Hybrid’s electric motor delivers 32 kW (43.5 PS) with maximum torque of 170 Nm, powered by a lithium-ion-polymer battery with 1.56 kWh capacity positioned under the rear seats. 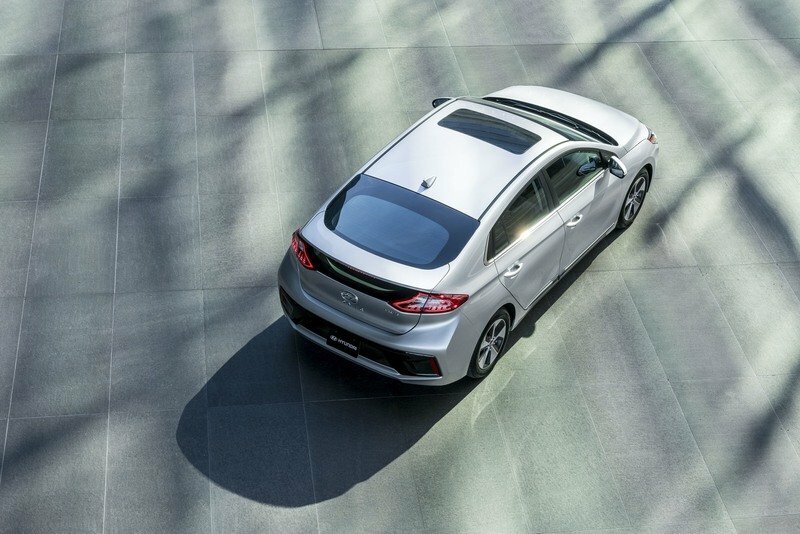 In combination with the 1.6-GDI engine IONIQ Hybrid offers a system output of 103.6 kW (141 PS) rpm and up to 265 Nm of torque accelerating to a top speed of up to 185 km/h with targeted CO2 emissions as low as 79 g/km (combined). The electric motor enables the IONIQ Hybrid to operate in pure electric mode at speeds up to 120 km/h. Drivers choosing the IONIQ Plug-in can safely rely on over 50 kilometres of estimated pure electric driving range powered by the potent 8.9 kWh lithium-ion polymer battery. The 45kW (61 PS) electric motor together with the 1.6 GDI four-cylinder Kappa engine offer a system which targets CO2 emissions as low as 32 g/km. The IONIQ Hybrid and IONIQ Plug-in both feature a six-speed dual-clutch transmission (6DCT), which boasts best-in-class transfer efficiency though the use of low-friction bearings and low-viscosity transmission oil. This ensures that IONIQ achieves a unique mix of driving performance and fuel efficiency. Intelligently set gear ratios combined with a clever shift strategy transfer power smoothly from gear to gear. Both, the Hybrid and the Plug-in, use the 6DCT to harness the electric and combustion technologies to best effect, for a more engaging drive. That is how they differentiate themselves from other hybrid and plug-in hybrid cars, which are often criticized for ‘rubber band-like’ acceleration. 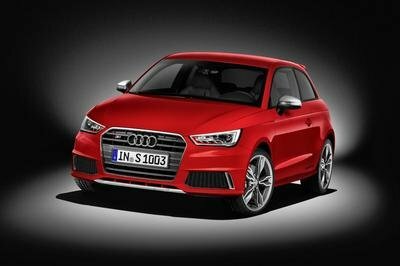 Enhancing the car’s fuel efficiency and dynamic driving characteristics, the driver can select SPORT or ECO modes. The SPORT function holds lower gears longer and combines power from the engine and electric motor maximizes performance. In ECO mode, the 6DCT optimizes the gear selection for fuel economy, shifting up earlier to higher gears to achieve class-leading fuel economy. The powertrain components were designed to be compact and highly efficient. The combined extra weight of the hybrid and plug-in hybrid technology therefore only adds minimal weight to the IONIQ. Electric power for the Hybrid and the Plug-in as well as for the Electric is generated by a permanent magnet synchronous motor. The parts of which have been optimized by reducing the thickness of core components (electrical steel sheet) by up to 10% and adopting rectangular-section copper wire to decrease core and copper loss. Efficient packaging was also taken into consideration as the battery system is located underneath the rear seats so that the usability of the passenger cabin and cargo area is entirely uncompromised in the IONIQ Hybrid, offering cargo space of up to 750 litres. This also holds true for the IONIQ Plug-in and the IONIQ Electric which despite larger batteries both offer generous cargo capacity of up to 650 litres. The shift by wire system unique to IONIQ Electric enables operation of the car simply by pressing buttons to switch driving modes. Plus it eliminates the routing space required for housing the mechanical linkages between a normal shifter and the transmission, providing more space in the front of the car. The Single Speed Reducer transmission automatically and seamlessly accelerates the Electric and offers SPORT, NORMAL and ECO modes to enhance efficiency and driving characteristics. Charging the IONIQ Electric’s lithium-ion polymer battery up to 80% only takes 24 minutes using a 100kW fast charger. An integrated In-Cable Control Box (ICCB) also allows drivers to charge their IONIQ at a regular household socket. The charging plug of the car is located in a position where gas fillers are normally located..
IONIQ’s engineers did not only focus on making the powertrain of each model as efficient as possible, they also set out to create cars that excelled in design, comfort and convenience of infotainment. 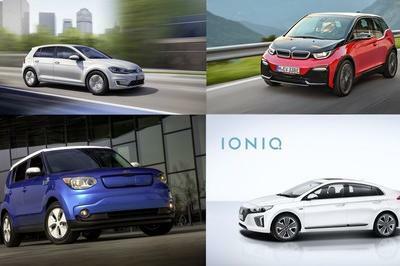 Applying the latest technologies and engineering techniques to these areas enhances IONIQ’s appeal and elevates its status. IONIQ’s sleek, coupe-like silhouette and its simple, carefully wrought contours assist the efficient management of airflow around the exterior. Applications like front wheel air curtains, a rear spoiler and diffuser, side sill moldings, floor undercover and a closed wheel design all contribute to the car’s high aerodynamic efficiency. Additionally the Hybrid and Plug-in feature an active air flap in the front grille operated in three stages, while a sleek closed front characterizes the Electric. To provide a pleasant, comfortable and refreshing climate in the cars without using unnecessary amounts of energy, the IONIQ’s climate control can be switched to an efficient operation mode. Due to a maximum utilization of the inside air when air-conditioning or heating, ventilation losses can be minimized and the overall efficiency of the system increases. Also, the dual-zone climate control can be set to ‘driver only’ mode, reducing the load of the air-conditioning and heating. A Hyundai-first and a key characteristic of the IONIQ is its innovative use of recycled or ecologically sensitive materials. For example, the interior door covers are made of recycled plastic combined with powdered wood and volcanic stone while providing the same quality appearance. The softer, more natural feel is achieved alongside less reliance on oil-based products. This approach extends to other areas of the car too. Raw materials extracted from sugar cane are partly applied on the headlining and carpet helping to improve quality of air inside the car and the recyclability of vehicle parts at end of life. Paint with renewable ingredients extracted from soybean oil is used to achieve lustrous metallic colours on some of the components. The new navigation system in the IONIQ comes with a seven-year free subscription to TomTom LIVE services. TomTom LIVE offers updated information in real time: weather, traffic, speed cameras, and online searches for points of interest. To suit customers’ varied lifestyles, IONIQ features state-of-the-art infotainment and connectivity features. The IONIQ is equipped with a new generation high-resolution 7-inch TFT information cluster. With a resolution of 1280 x 720 pixels, it displays all types of gauges (speedometer, ECO, state of charge, fuel etc.) Depending on the selected drive mode, background colour and gauges are adapted to always provide the most important and useful information as well as a relaxed or sporty atmosphere by means of the colours used. Within SPORT mode, the display changes into a revolving digital speedometer that is surrounded by an analogue style tachometer, showing the engine’s rpm on red coloured ground. When choosing ECO mode the TFT-information cluster simulates the familiar speedometer needle. The IONIQ will also cater for drivers looking to integrate their smartphone with the vehicle’s infotainment system by providing both Apple CarPlay and Android Auto. Both systems enable users to connect their devices to deliver and control music, telephone or navigation functions on screen. The seamless connectivity allows drivers and passengers to stay connected while remaining focused on the road. To ensure occupants’ phones are always charged, IONIQ also offers a wireless inductive charging pad (Qi standard) for mobile phones. One of the main questions throughout the development of IONIQ was where weight could be cut without compromising the goal to also create an engaging and comfortable car. IONIQ’s engineers used aluminium in the hood and tailgate, which reduces weight by 12.4 kg compared to the conventional steel option with no disadvantages in noise or vibration. The weight loss strategy also extended to less obvious areas like the cargo-screen cover. Due to a higher usage of lightweight components and a more compact build, the cargo-screen cover is around 25% lighter than the version used in other Hyundai models. The driving performance of the IONIQ line-up is among the best in its segment thanks to a powertrain which is specially adapted to deliver efficient mobility without compromise. Ride and handling, as well as noise, vibration and harshness levels, are tuned to contribute towards superior ride quality, while insulation in the dashboard minimizes engine noise. Damping in the floor panels as well as enhanced A and B pillar fillings, thicker window glass and noise cancelling film on the windshield further improve the quiet and comfortable ride. The IONIQ Hybrid and Plug-in feature a multi-link rear suspension system with dual lower arm for enhanced ride comfort while a proportionately large use of aluminium for front and rear suspension components saves around 10 kg of weight compared to conventional means. A reduction of 2.3 kg per front lower arm unit saves 4.6 kg at the front, while 7.14 kg is saved at the rear with each unit shedding 3.57 kg. The IONIQ Electric applies a torsion beam rear axle which provides more space for the 28 kWh lithium-ion polymer battery, placed below the rear seats and the spare wheel well..
IONIQ’s responsiveness and feedback from the steering system is clear and precise, with an increased steering gear ratio that helps to compound a sporty and responsive feel while reinforcing the car’s uncompromised driving experience. Braking force is optimized to get the most out of the regenerative braking system, helping the IONIQ to maintain a healthy state of charge (SOC). Regenerative braking also operates to reduce noise, using the third generation of the brand’s energy recuperating stopping system. An Integrated Brake Assist Unit (iBAU) and Pressure Source Unit (PSU) also contribute to quieter operation than competitors. This also helps ensure ultra-low friction for maximum energy recuperation and efficiency. A collaboration with tire manufacturer Michelin gives IONIQ enhanced levels of efficiency as the car is fitted with low rolling resistance tires from 15-, 16- and 17-inch wheels for better fuel economy, plus the car’s larger 17-inch wheels (IONIQ Hybrid) are fitted with silica tires for better performance. The multi-link suspension system of IONIQ Hybrid and Plug-in has been adapted in order to work most efficiently with low rolling resistance tires. Thanks to its dedicated design the IONIQ line-up delivers great driver and passenger convenience, bringing to the segment a range of considerations that other hybrid, plug-in hybrid and electric vehicles may have compromised on in the past. So for example all hybrid components are cleverly packaged to not compromise space, flexibility or usability of the interior. 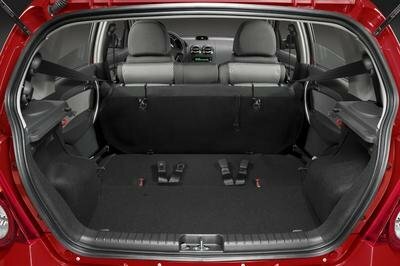 In fact, the IONIQ Hybrid offers best-in-class cargo space by positioning the battery underneath the rear seats. Moreover, the rear seats can fold flat providing a cargo space of up to 750 litres, allowing large pieces of luggage to be stowed with ease. All IONIQ models also offer great front and rear headroom, plus comprehensive shoulder and leg room in the front and back, while a memory function driver’s seat and heated front and rear seats invite occupants for a relaxing ride. A light yet rigid body is the result of advanced design, construction methods and materials for the entire IONIQ line-up. Featuring 53% Advanced High Strength Steel, the chassis of the cars benefits from superior rigidity for responsive handling and is extremely safe, with high impact energy absorption and minimized distortion to protect passengers in the event of a collision. To complement the long list of advanced convenience technologies, a host of innovative active and passive safety features protect the driver and passengers. These electronic assistive systems are class-leading as the IONIQ continues to break the mould for alternative fuel vehicles. The long list of active safety features includes Blind Spot Detection, which works directly alongside Lane Change Assist and Blind Spot Detection with Rear Cross Traffic Alert to warn the driver of any surrounding vehicles, passengers or other objects that may lead to a collision if unnoticed while the car is in motion. A Lane Departure Warning System (LDWS) and Lane Keeping Assist System (LKAS) are of use when driving. The systems alert the driver if unsafe movements are made while the car is driving over 60km/h by sensing the car’s position. The LDWS sounds an alarm before the car moves over the road markings, while the LKAS warns the driver acoustically and visually before inducing corrective steering to guide the driver back to a safe position. The IONIQ is also fitted with Autonomous Emergency Braking (AEB), an advanced active safety feature that alerts drivers to emergency situations, braking autonomously if required. Using front radar and camera sensors, AEB operates in three stages. Initially warning the driver visually and acoustically, it controls the brake according to the collision danger stage, and applies maximum braking force right before the moment of collision. When a vehicle or pedestrian is sensed in front of the car, the system is activated, operating at speeds of 10 km/h or above and minimizes damage when a collision is unavoidable. Using front radar sensors, Smart Cruise Control allows a constant speed and distance to be maintained from the vehicle ahead without depressing the accelerator or brake pedals; it is automatically cancelled when speed drops to 10 km/h or below. IONIQ Electric enhances this functionality with an Advanced Smart Cruise Control, which also supports automatic stop and start function. A Tyre Pressure Monitoring System ensures constant monitoring of tyre pressure and alerts the driver if pressure levels have changed. Around the interior of the IONIQ, a total of seven airbags is available. Including a knee airbag for the driver, they are placed to protect the vehicle’s occupants in the event of a collision. Body structure improvements complemented by a high-strength fibre-reinforced rear bumper make the entire IONIQ line-up strong and durable in the event of a crash.